To prescribe a home exercise program simply add your patient to your My Rehab Connection account. This can be accessed online anywhere. 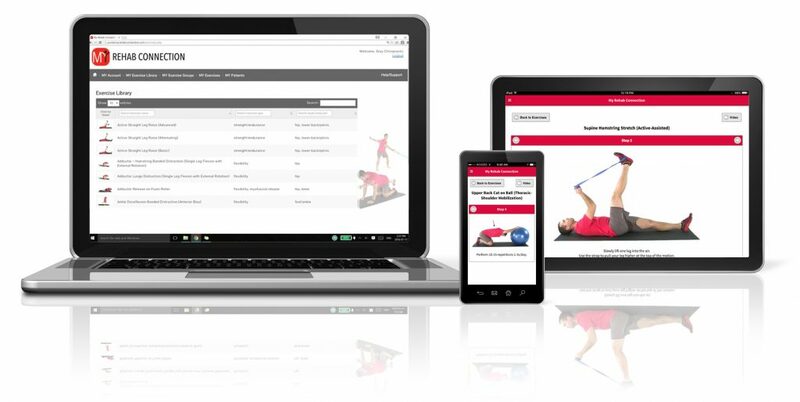 From here you can assign exercises to your patient from our exercise library, exercise templates, or from your own custom library. 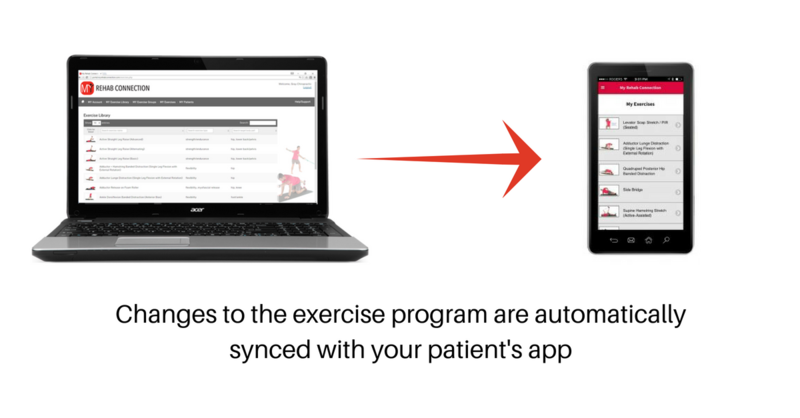 This initial process is similar to other existing exercise software programs, but My Rehab Connection also has a ton of unique features that make this process easier and more efficient for clinicians. Your patients have gone mobile. And now you can too. No more sad looking printouts that your patients will lose, can’t follow, and make your clinic look cheap and unprofessional. And no more teaching you patient the same exercise over and over. 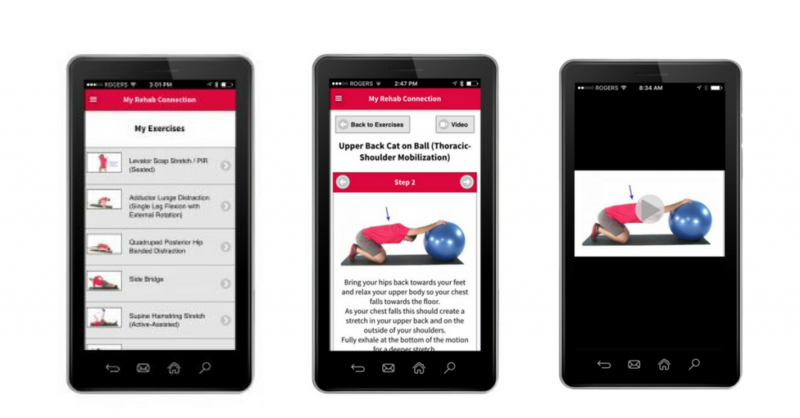 To access their exercises program your patient downloads the free My Rehab Connection app to their phone or tablet. The first time they open their app they login using their unique username and password (these login credentials are generated as they are added to your account and sent to the patient along with login instructions via an automated email). This links the patient’s app to your My Rehab Connection account. 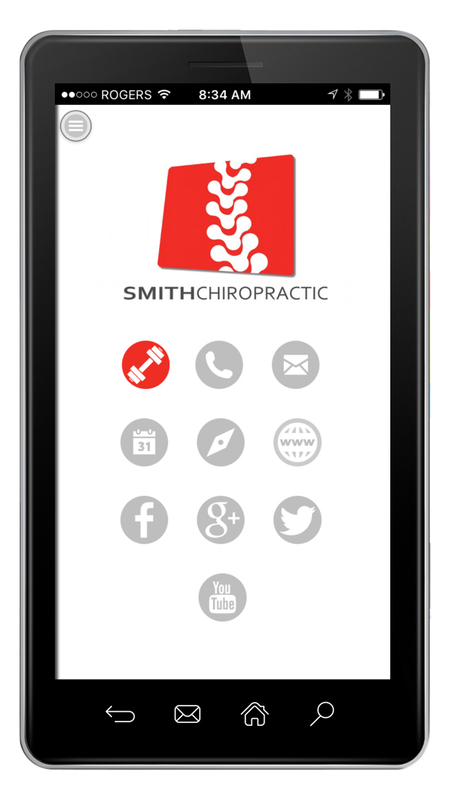 The app’s homescreen is completely customizable for your clinic. That means every time your patient opens their app they see your clinic logo, and can call or email you right from the app’s home screen. You can add a link to your online appointment calendar, and even feature your social media profiles. And of course your patient can access their home exercise program right from the app homescreen. Each exercise contains detailed step-by-step instructions along with accompanying pictures and videos to help ensure your patient performs the right exercises, the right way…. Always accessible in their purse or pocket at the touch of a button. Of course as the treatment plan progresses you will need to add, remove, and progress your patient’s exercise program. We’ve made this simple too. Any changes you make are automatically synced to your patient’s app. No re-printing exercise sheets, no new emails to clog up your patient’s inbox. They just open their app and instantly have access to their updated program. Want to try My Rehab Connection 100% risk free? Sign-Up now for our 30 Day Free Trial. You get complete access to My Rehab Connection. Don’t like what you see? Cancel anytime.